MOSCOW, October 10. /TASS/. 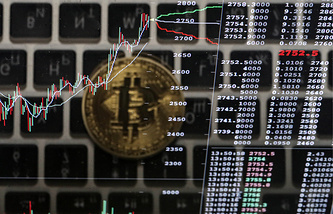 Russia’s Central Bank welcomes imposing any restrictions on operations of external websites that offer cryptocurrency sales, the regulator’s First Deputy Chairman Sergey Shvetsov said Tuesday. "We consider all cryptocurrency derivatives to be a negative development on the Russian market and do not consider it possible to support it, and will even assume measures to restrict potential operations with such instruments made by the regulated part of the Russian market. Meanwhile, we assume efforts aimed at closing external websites that allow Russian citizens to acquire such assets together with the General Prosecutor’s Office," he said. According to Shvetsov, the instrument carries high risks for Russian citizens and businesses. "We see Bitcoin gradually turning into an asset acquired for the purpose of obtaining a high yield in a short period of time, meaning it has signs of a financial pyramid," he said, adding that that the Bank of Russia is currently considering all attempts to create a risk-free possibility to acquire cryptocurrencies.